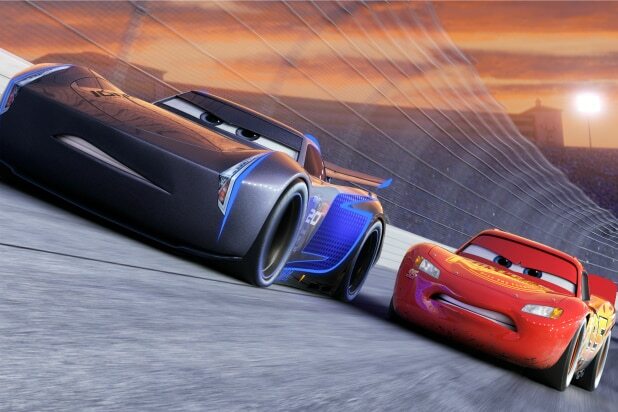 “Cars 3” never quite lives up to what comes before it. I don’t mean the first two movies, which continue to be some of the blandest output from Pixar; I’m referring to “Lou,” the lovely short film that plays immediately before this sequel. A sweetly poignant tale of a sentient lost-and-found box that teaches a subtle lesson about schoolyard bullying. “Lou” (written and directed by Dave Mullins) shows once again that the short subject is alive and well in the halls of this animated studio. It’s become impossible to watch the “Cars” movies without thinking about the inevitable product tie-ins; every new character means the opportunity for more toys, backpacks and bed sheets for the franchise’s toddler fan base, and every establishing shot of the town of Radiator Springs made me admire the degree to which the all-automotive village has been skillfully recreated at Disneyland. As a spawner of merchandise, “Cars 3” fires on all pistons but, as a movie, it’s a harmless but never stimulating 109 minutes. The film opens on Lightning McQueen (voiced by Owen Wilson) back on the racing circuit, only to find his top-tier status challenged by newcomer Jackson Storm (Armie Hammer), who’s got a sleeker chassis, a lower center of gravity, and all the attributes that leave Lightning and his generation of cars in the dustbin of history. One by one, Lightning’s peers go into retirement as more and more of these new kids elbow them out of the way. Lightning attempts to stay in the game, but after a major accident, he holes up in Radiator Springs, unsure of his next move. (The “Cars” universe’s equivalent to puttering around in a bathrobe is staying inside your garage under a layer of primer.) When tycoon Sterling (Nathan Fillion) buys Lightning’s sponsor, Rust-eze, he invites Lightning to a new state-of-the-art training facility, where Lightning works with trainer Cruz Ramirez (Cristela Alonzo, “Cristela”), who treats the champ like he’s a fragile senior citizen. After weeks of working on treadmills, Lightning insists on getting his tires dirty, dragging Cruz out to race on the beach and in a deadly demolition derby dominated by tricked-out school bus Miss Fritter (Lea DeLaria). (Of course, what purpose school buses serve in this all-car world, and who rides them, is a question best left unexplored lest you go down a rabbit hole of ontological chaos.) Cruz, as it turns out, once had her own dreams of racing, and her thwarted ambitions may guide Lightning to figure out his place in a changing world. 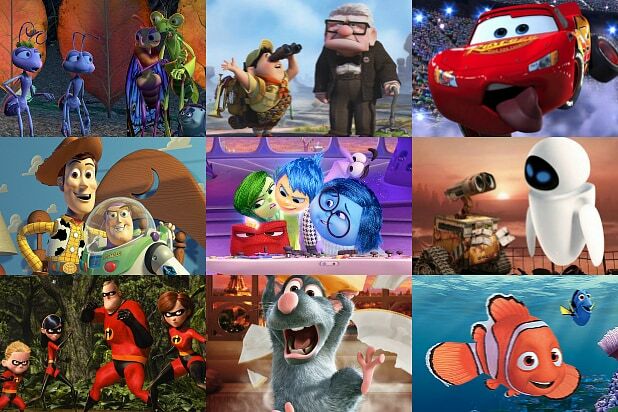 And in the same way that “Monsters University” flipped the usual “stay in school” script by suggesting that college isn’t necessarily for everyone, “Cars 3” (written by Kiel Murray, Bob Peterson and Mike Rich) doesn’t resolve Lightning’s dilemma in a simplistic “experience beats youth” fashion either. It’s also great that there are some female racers on the track, but otherwise, the script tends to be fairly unremarkable, with lots of by-the-numbers character development and more awful jokes for Tow Mater (Larry the Cable Guy). See Cars 3's latest POWER MOVE. The film offers plenty of flashbacks to Paul Newman’s old roadster from the first film, and a mentor-hungry Lightning encounters a passel of great character actors, including Chris Cooper, Margo Martindale and Isiah Whitlock Jr. Kerry Washington turns up to voice a numbers-crunching stats expert, and there are plenty of NASCAR personalities making cameo vocal appearances to appease racing fans. Still, we’re left with a movie that’s got all the colorful innocuousness of a kiddie film that’s all about a mid-life crisis, which raises the question: For whom, exactly, is “Cars 3” meant? Apart from the companies making plush Cruz toys and Jackson Storm lunchboxes, I’m not entirely sure.